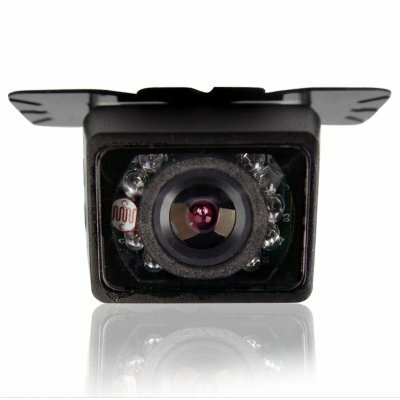 Successfully Added Adjustable Angle Car Rear View Reversing Camera - PAL to your Shopping Cart. Adjustable Angle Rearview Reversing Camera - PAL. A great tool for reversing into parking spaces while assuring there is nothing behind you. This 1/3 inch CMOS reversing camera allows to you to reverse into any parking space with the benefit of 120 degrees of angular vision. A great item for both beginning drivers as well as seasoned city dwellers. How to install it? Simply plug the cables into your Car DVD or GPS AV IN and view what's behind you like never before. The units 9 IR white LED's provide illumination for dark areas, so your driving is more safe both during the day and at night! This model car rearview camera is compact and an easy DIY installation (do-it-yourself). Order yours today and ship it right from China to your door with any of our air or express delivery options. on 2010-06-22 18:16:12 Very satisfied! Super fast shipping! 3 days to Switzerland! Camera works great, even in low light. Its handy that you can tilt the camera..